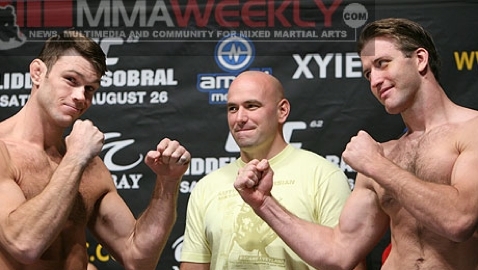 Forrest Griffin and Stephan Bonnar entered the UFC together and they will exit the UFC together… walking straight into the UFC Hall of Fame. The original Ultimate Fighter, Forrest Griffin called it quits at UFC 160 on Saturday night in Las Vegas. 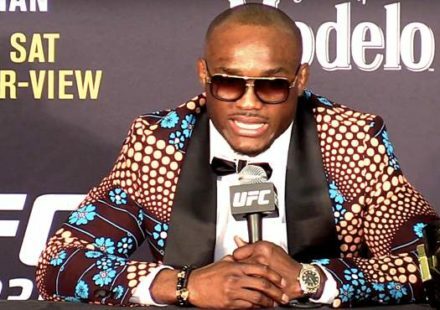 UFC president Dana White introduced Griffin at the post-fight press conference, revealing that the man to win the first season of The Ultimate Fighter had decided to call it quits. 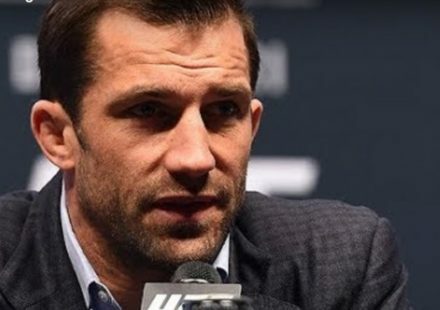 A short time later, in a media scrum with reporters, White announced that Griffin and his TUF Season 1 cohort, Stephan Bonnar, would enter the UFC Hall of Fame during Fight Week in Las Vegas in early July. “I’m inducting (Griffin) and Stephan Bonnar into the Hall of Fame this year, together,” White declared. At 33 years of age, Griffin finishes his professional career with an overall record of 19-7. 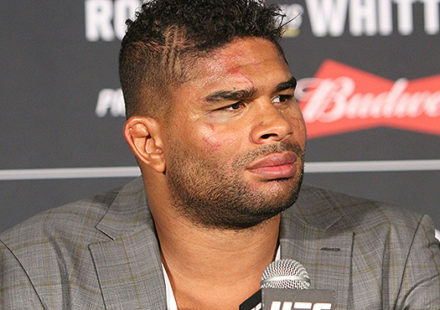 He won the inaugural season of The Ultimate Fighter, captured the UFC light heavyweight championship, and won Fight of the Night honors on five occasions. Bonnar, 36, amassed a record of 15-8, and called it a career following his loss to Anderson Silva at UFC 153 in October of 2012. He was runner-up to Griffin on the original Ultimate Fighter. 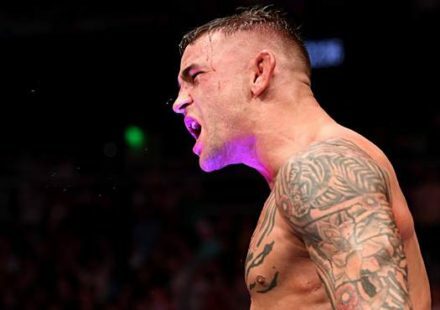 The two fought an epic, brawling battle in the first season finale, launching the UFC into the consciousness of mainstream America, saving the UFC in the process. The company was 40-plus million dollars in the red at the time. That fact alone tips Bonnar into the UFC Hall of Fame, despite him falling short of the honors that Griffin has earned.